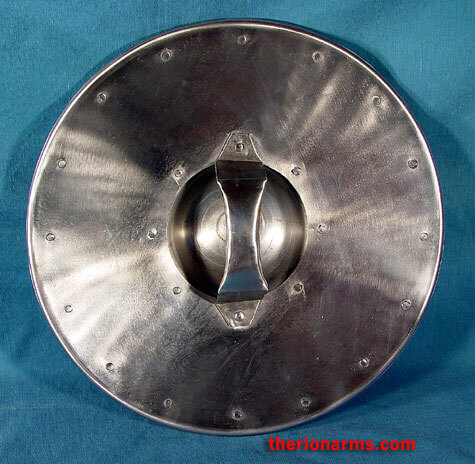 TherionArms - Leather covered buckler with shield boss - 9", 12", or 15"
Leather covered buckler with shield boss - 9", 12", or 15"
14ga steel buckler with reinforcing leather face, steel shield boss, rolled edge, and riveted grip. 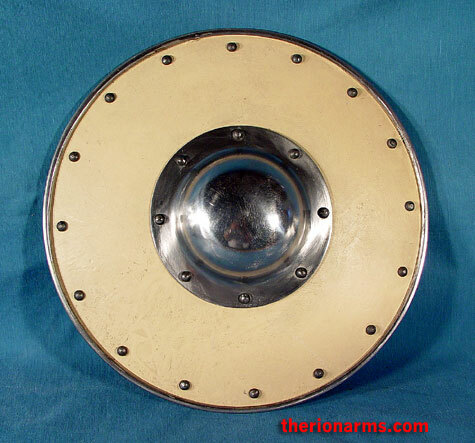 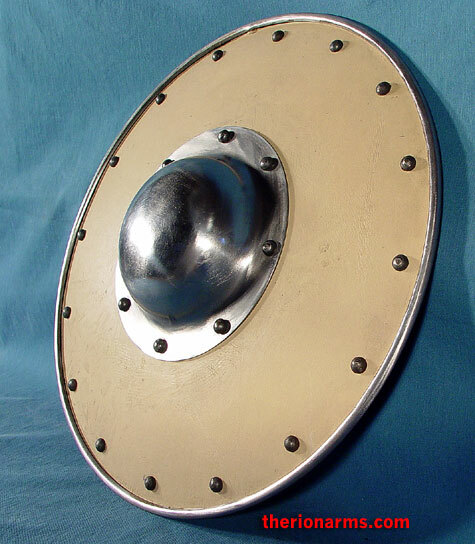 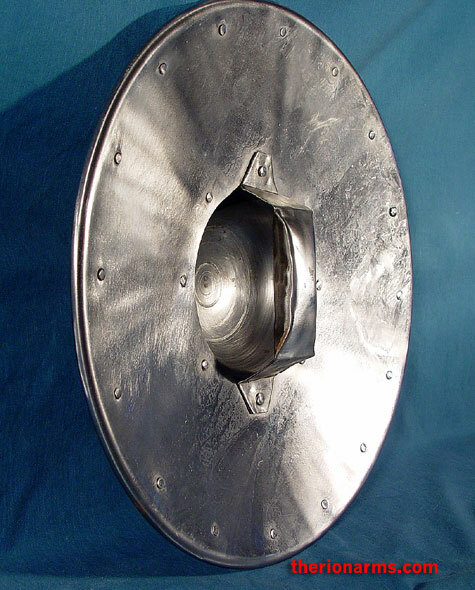 These bucklers are sturdy enough for full contact rebated steel or SCA rattan combat. 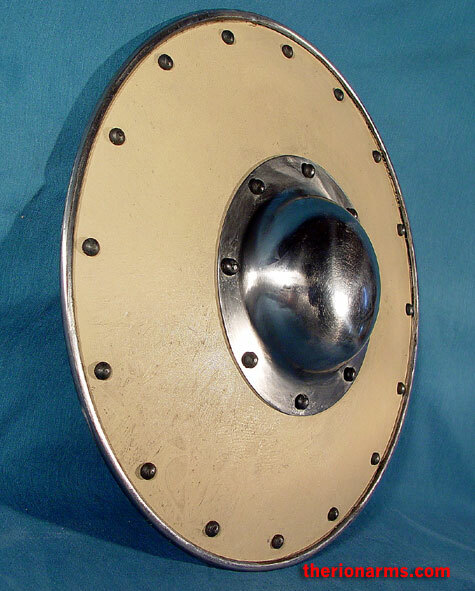 Buckler pictured above is the 15" model.